How is Vitazyme used? Vitazyme is mixed with water at a dilution that is dictated by the sprayer output. For field applications the objective is to apply usually 1 liter/ha (13 ounces per acre), although more is applied for tree crops. Applications at planting and at early bloom are common. A seed, root, or bulb application is very effective; a 5% solution dip works well. For lawns, gardens, and house plants a 1% solution applied to the leaves and soil every two to four weeks works very well. Vitazyme should always be incorporated into a total cropping program. 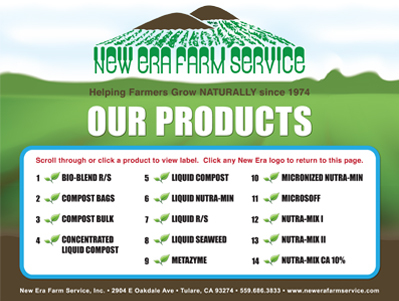 Nitrogen fertilizer is usually reduced while yields are improved, saving money and time for the user. The product is not a "magic bullet" but a powerful companion to help the grower make the most effective use of applied nutrients. How does Vitazyme work? The active agents in Vitazyme enter roots through moist soil, or leaves through foliar application. Metabolism of cells and tissues throughout the plant is quickened, and as a result more CO2 is fixed into carbohydrates and other compounds in the leaves. A good portion of these compounds is moved down the stem and out of the roots into the soil (25% or more of the total plant energy), where a vast array of microorganisms feeds on them: bacteria, fungi, algae, cyanobacteria, actinomycetes, and others. In turn, these microbes generate vitamins, hormones, antibiotics, and other beneficial com-pounds besides releasing minerals and nitrogen for plant uptake. Vitazyme’s active agents stimulate this process to occur at a faster rate. For more detailed information and crop results Contact the Vital Earth Resources website at www.vitalearth.com .